I am sorry it has taken me so long to blog. 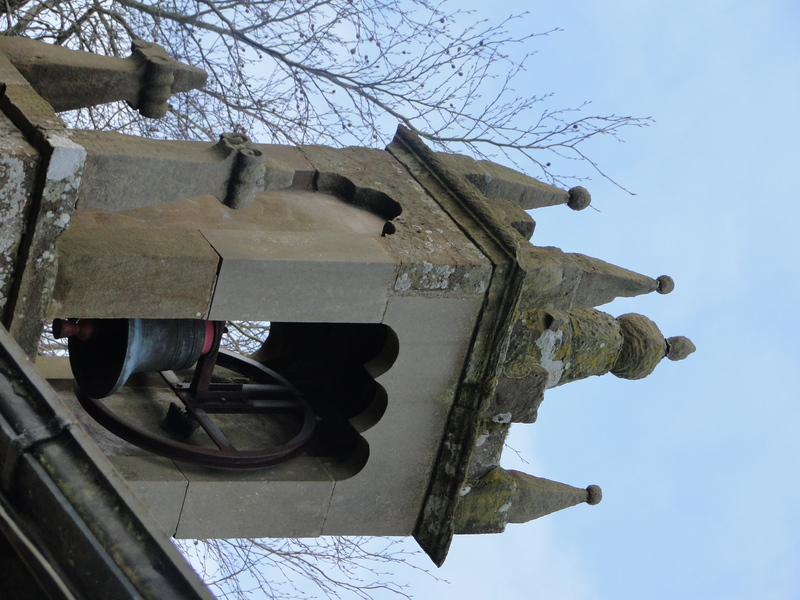 On Saturday 22 January we went out for a drive and at the end of a “no through road” I suggested we pulled into the side of the road so I could see if there is a church in Kirkheaton – you can tell I plan this blog! A tiny little village with a few houses round the Green, including the rather impressive Manor House. 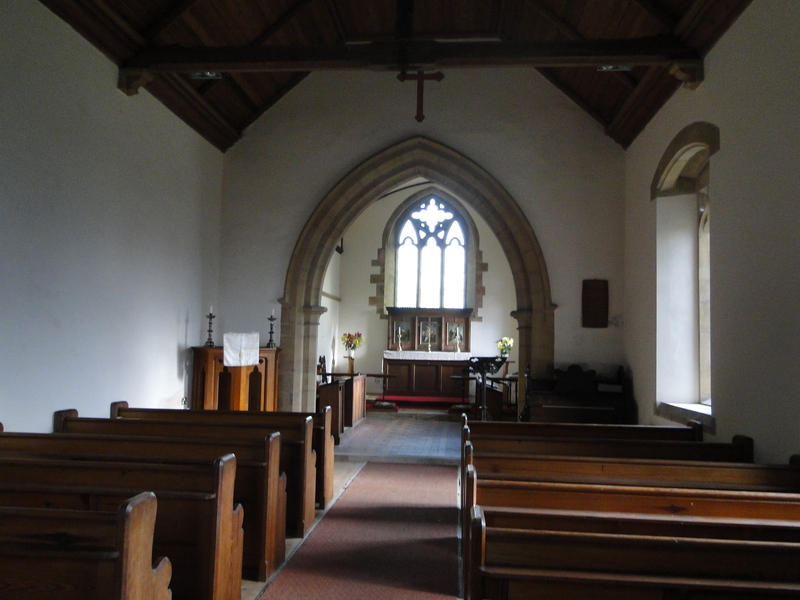 A friendly notice said “to the church” and St Bartholomew’s was open – NZ019774. 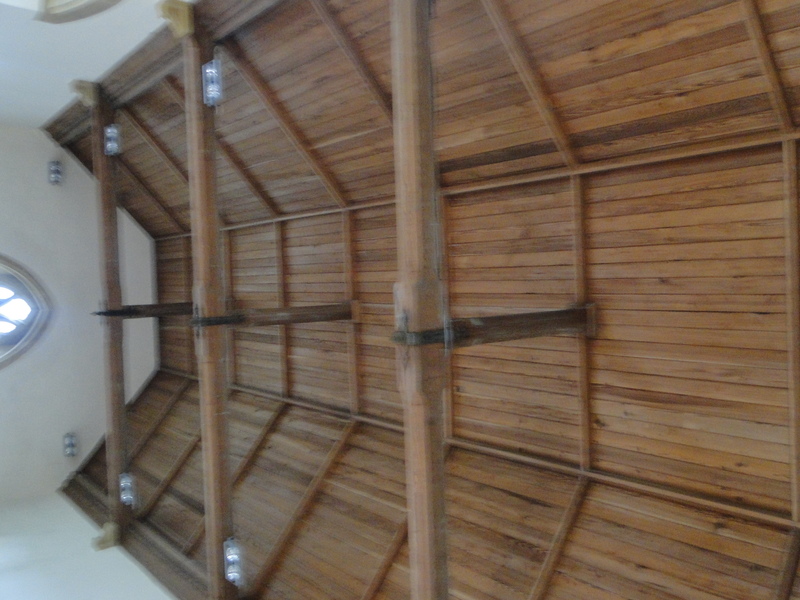 There was a church on the site in 1298; by 1716 it was roofless. 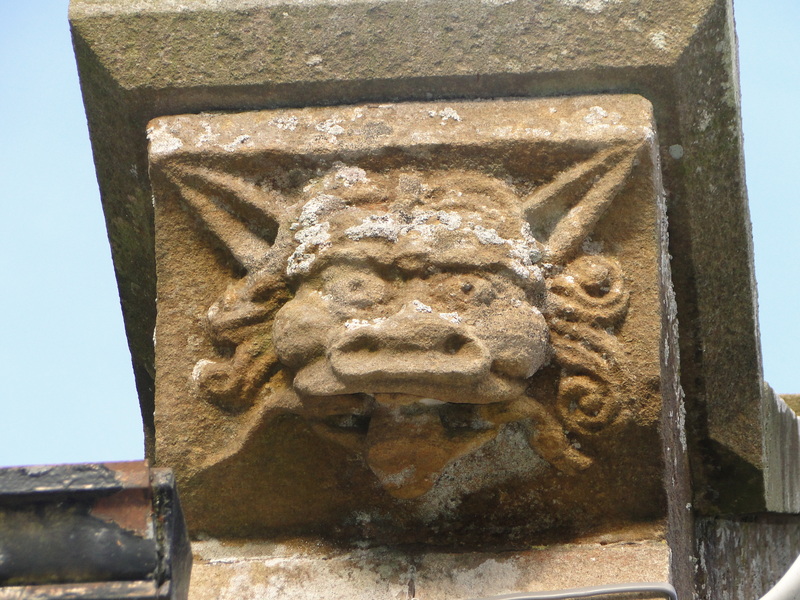 There are also four “grotesque heads” – rather lovely ones. Inside is simple and very pleasant – and the lighting is very neat (I’m impressed). 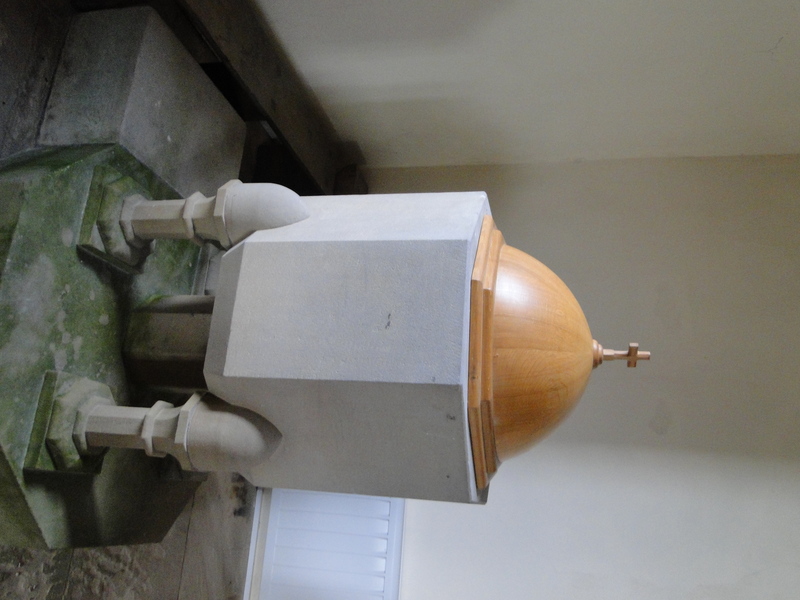 The chapel was altered 1865, and this font dates from then. It is certainly solid – the cover was made by local cabinetmaker Stephen Gay of Kirkharle. There is a simply A4 leaflet which tells you all you need to know – and gets religion in too. Dagmar is the priest-in-charge – the leaflet gives her phone number and says “preferably not Mondays” (a much friendlier statement than “Day Off”). 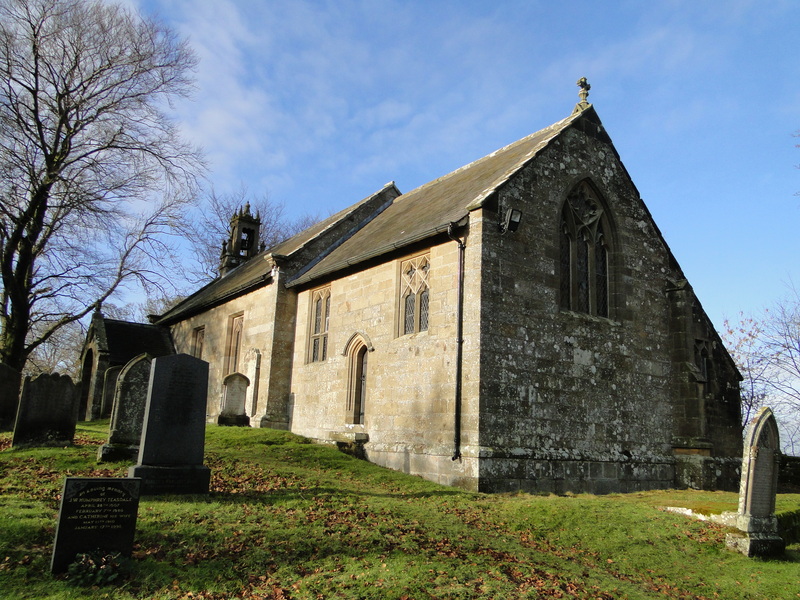 The parish is one of a group of four, and has a total population of about 50. Eternal God, in this place where lives have been touched and worship has been offered in all seasons, speak to us with your words of love and peace. May we know your presence among us, and go on our way with hope in our hearts. Amen.